This blog has looked at giving kindness in many different ways, but we’ve not really talked about receiving kindness. It is as much a choice to receive kindness as it is to give it. I know from experience that it can be so hard to admit that you need help. Pride, embarrassment and guilt can all make us feel that we don’t deserve help and that we certainly shouldn’t ask for it. This can isolate us and we can withdraw from relationships at times when we really need it. Why do we shut people out at times when we need them most? Often the person we find it hardest to be kind to is ourselves. Some of us love the opportunity to help and bless others, but struggle to be on the receiving end. Receiving kindness with grace gives us the opportunity for deeper connection with people. In a way, allowing ourselves to receive kindness demonstrates care towards the person wanting to help us. It shows the person helping us that we trust and value them, that they are important to us and that we want a deeper connection with them. Don’t wait until times of crisis to receive help; there are so many everyday opportunities to practice. What does it communicate to my children when I let them help me in the kitchen? It may be quicker, less messy and simpler to do all the work myself, but as I allow them to help they feel valued and appreciated. It is an opportunity to teach them about giving and receiving kindness. 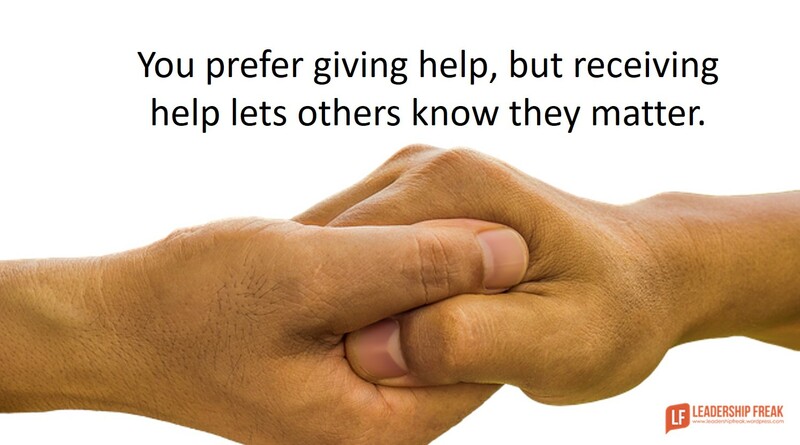 It also allows me to practice receiving help for times when I might need it more. Whether you are in a time of crisis or a time when you don’t really need help, open up and let kindness in. 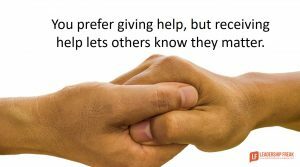 Be willing to accept help and see how it benefits both the receiver and the giver.